Zinda Magazine is published every WED & SAT. To register for your free Zinda notifications enter your email address in the field above and click 'Sign Up'. Is Assyria Ready to Declare its own Parliament? Zinda Magazine stands before you in awe as you partake in one of the most revered secular rites of passage in the world, the transition from one academic institution to another institution of higher learning or a place of employment. You have worked very hard to earn our respect and the respect of every Zinda reader. You have spent thousands of hours browsing through library books, Internet websites, listening to your teachers and professors, organizing school clubs, playing in your school teams, and participating in a myriad of other extracurricular activities to reach this momentous point in your life. Your parents may have even borrowed thousands of dollars, mortgaged their homes, worked double shifts, to provide for your education. Today you made us feel that every thing that was done for your academic success was worth the difficulties experienced. If you are graduating from high school you undoubtedly look forward to at least four more years of books, late night cramming before mid-terms, endless research papers, football games, school clubs, Thursday nights at the local school pub, and the level of freedom to act or speak in a certain manner that most of us passing through mid to late adulthood can only imagine in our wildest fantasies. Then there are those of you who will soon begin to apply all that you have learned to earning money, social status, new friends, and a family of your own. Most of us, as your friends and family, have been lecturing you on what cannot be accomplished by you if you are found to be Assyrian. We asked you to focus only on your studies and abandon your roots, your language and your history. If pressed for an answer you were told to say that you are Assyrian, Chaldean, Syriac, Aramean, even Babylonian, but promptly qualifying yourself as a Christian minority. If you asked us why, we simply referred you to a biblical story, or a tale we had heard or read when we were about your age or heard from our own parents. We dissuaded you from knowing yourself because most of us failed to realize our own identity when we had the chance. Now that we are more concerned with earning bread for our families, we care even less. We did not accomplish as much as we had dreamed when we left school, so we blame it on our being different from everyone else. We blame it on being Assyrian. Those of us who have earned status and are affluent have already denied themselves and their roots. Being Assyrian, they believe, is a hindrance in their quest for monetary gains and social status. Now you, the free thinkers of today and movers and shakers of tomorrow, listening to the voice within you, stand up, hold your head high, and hear this truth from the men and women of Zinda Magazine: we, the men and women of Zinda Magazine who bring your news and information, are students as yourself studying in the most prestigious medical schools, practice law, manage multi-national corporations from several offices around the world, spend hours every week in the hallways of power in Washington and the headquarters of the European Parliament, teach Assyrian language to thousands of students in Iraq, promote human rights in Germany and produce movies in Chicago. We are the voice of the most successful Fortune 500 companies, run our own multi-million dollar companies, and dine with the most elite of our adopted countries. We are doctors, lawyers, businessmen, teachers, students, journalists, and artists. We come from varied backgrounds and can speak in over 20 languages among ourselves. What brings us together is only one thing - that which must guide you as long as you can breathe and think - that which has given us a reason to excel in every aspect of our lives, to become the best at what we do, to go the extra step and reach for perfection. We share a dream, a historic challenge, to stand tall and proud among every other nation as Assyrians, the ancient discoverers and modern creators, in whose hands the new world can begin to experience its next period of social development. We hear the voice of angels when our Assyrian language is spoken, cherish every moment we get to read about our past, attend dance parties where our heartbeats echo the sound of davoola, and tearfully watch our children grow speaking our mother tongue with their friends. We believe we can move mountains as long as we can call ourselves the children of Assyria. A few of us who made the decision to leave our secure jobs in the Middle East may not be financially secure, but we have done our best to raise children who make us proud. We sacrificed much to see them reach even higher standards. For that we are eternally thankful of the Almighty. Today, whether you are taking the next step to advance your education or apply your education to advance yourself you must take heed of the truth that will guide you throughout your life. 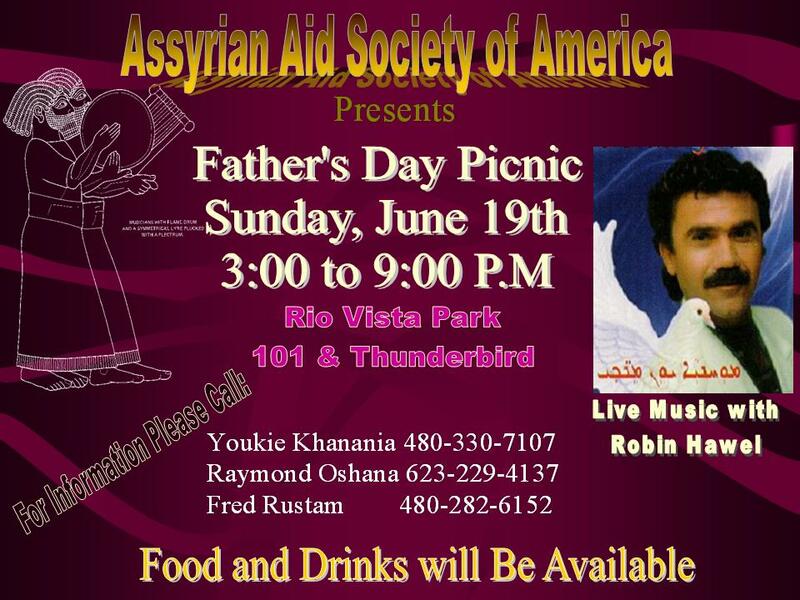 To be Assyrian is a privilege that only a very few individuals can ever enjoy. Learn to understand that being Assyrian provides you a compelling reason to be the best at what you like to do with your life. Our ancient ancestors believed in this notion and conquered much of the known world. Today we can conquer much of the known realms of social, political, and economic realities available to us as citizens of the world only if we believe in the same way. Be proud of your Assyrian identity, your past heritage, and while reaching for the unreachable star never forget your ancestors who gave you this beautiful life, this beautiful earth, and the reason for your being. It is academic consensus that the Assyrians' highly constructive characteristics made them to become the most contributor nation for civilization, mostly through their "Political Empire of the BC era " and "Cultural and Spiritual Empire of the AD era". Their excelling potentials were to the extent that at the very time of their Fall, by relative present standards, their power must have continued for another millennium. 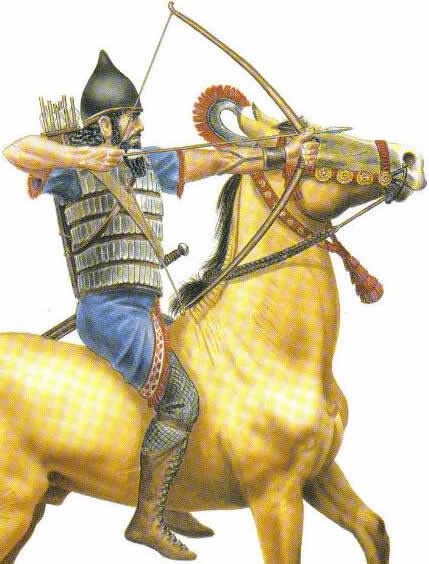 As a hint to endless list of their revolutionary contributions, let us begin with Emperor Sharukin I in early 2nd millennium BC who fixed the seven days a week as a periodic base in the empire. And suffice to end the hint by mentioning a few of the following. Assyrians developed the master plans, each with high momentum for a healthy civil society, political administration, economy, judiciary, transportation and communication as well as for defense. They have left as much historical documents, required and indispensable for filling the existing gap between pure and human science, that one hundredth of the part unearthed and deciphered provides more information than the ones exhausted and left in Greek and Latin. The rest to be unearthed and deciphered in the next four centuries. Through their AD Cultural and Spiritual Empire, they continued their civilization in addition to the evangelization of Christianity ,through their universities, research and educational institutions, dotted all over the vast continent of Asia to preserve the Political Empire and then to extend that further. Their achievements reached Europe when Alexander the Great made Babylon his capital and later during the Crusades and finally they did spark the renaissance through Islamic realm of Spain. Embracing and developing Christianity at its embryo, for the faithful Assyrians their goal of securing paradise was not given up, having lost their secular political power, by sheer force of the faith they sacrificed themselves to lead the humanbeings to the paradise of their new faith of Christianity. Assyrian are victims of their ultra human nature. When Assyrians surpassed all other nations in the advancement of civilization with a gap of two millennia, to be caught in mid 2nd millennium AD by the Rennaissance of Europe, they adopted an idealistic goal to build a paradise on earth for all humans, followed by adopting transplantation policy. This ended up in their collapse and their tragic life to present. The closest holocaust ever suffered is far away from what the Assyrian have suffered. If you find some words to narrate it, then it is unimaginable to the mind. It is distinguished from any other by three distinctive unbelievable tragic characteristics. The number of lost lives as the population of a sole superpower reduced to the brink of extinction: Assyrians were not a tribe to follow a leader from here to there. They were the population of a sole super power evolved in millennia before. If they hadn't lost their Empire or been subjected to perpetual genocides since losing political power, their population by now should have been equal to the most populous nation of the world. Longevity and recurrence from 2600 years ago to present: In 2600 years, in any political or social upheavals and mostly couple of times in a single generation, Assyrians have suffered devastating blows in one genocide after another, massacres after massacres, plunders after plunders, their elites slaughtered...to their present tragic life. the beloveds being raped, paled, burnt and tortured before their parents. Mothers taking the lives of their beloveds to save them from torture. Women shrilling and begging the murderers to kill and save them from the grilling torment. It is unbelievable but true that it was caused by the part of the '' World Civilization Body'' . Assyrians were persuaded in World War I (1914-1918) to cooperate with allies in exchange to have their political security after the victory. Unfortunately the eruption of communism in Czarist Russia forced the Allies to leave aside the contemplated plans for the post war and to adopt new plans for fighting Communism, especially in the crescent area surrounding Communist Russia, from Germany in the West to Southern Asia and Japan in the Far East. Thus allies broke their promise made to the Assyrians. As a result of their cooperation with the Allies and the breaking of this promise, Assyrians did suffer one of their historical annihilating blows. The Assyrians suffered miserably the loss of three quarters of their population, lost their long held autonomous strongholds in Hakkari, the rolling countries and the plains in greater Mesopotamia and Middle East, and the part of the remainder of devastated population was made to be miserably wandering around the world in destitution and the rest to suffer slavery life, left in the mercy of wolves of the newly created artificial establishments. As part of the new plan where there were no nation states, or if there were they were not viable to exist along the parts of the crescent as in the Near and Middle East, artificial nation states were made including in the broke asunder Ottoman empire. Twelve nation-states were created from the crumbled Ottoman Empire including the present Turkey. The newly built nation states were given ultra nationalistic theme (versus the internationalism of Marxism ) with ultra nationalistic despots and were made to appear as an affluently glittering show case of the free world. Such as vivacious West Berlin versus gloomy East Berlin and the same all along the crescent to Japan and Korea. The new plan reversed the status of the Assyrians in respect to their neighboring ethnics as the Assyrians were striped from a viable status and driven to the bottom of misery, and their neighbors boosted from primeval standards to the highest at the time as the plan did require. The Assyrians, despite being persecuted for millennia, relatively had managed to survive partly and to procure a sustainable status among their Muslim neighbours. Just in the Northwestern part of Iran in Urmia, there were over one hundred Assyrian physicians while the capital of Tehran had only fifteen. Just in their worst period of persecution of the last two centuries, the Assyrians lost hundreds of their scholars and intellectually prominent persons, many of them internationally well known. And in building the present nation state of Iraq from three provinces of crumbled Ottoman empire, when the Allies did fail to build it through the legions of Arabs first and then the Kurds, the Assyrians were compelled to resort to the competent and reliable warriors of their betrayed nation. The new plan, besides dealing tragic blow on Assyrians and crumbling communism, met with horrible side effects . It culminated in the creation of the fascism megalomania, or World War II,ending in the devastation of Europe and the loss of forty million lives . It created the terrorism megalomania in the newly built nation states of the Middle East, lifted-off from stone age standard to European one --in politically, militarily and economically-- flushed with wealth and windfall petro dollars, hence inducing the present terrorism hubs, the loss of thousands of liberation troops and over hundred thousand of innocent victims until now. The process of fighting terrorism has created as a side-effect the megalomania of some of short sighted Kurdish warlords because of the unimaginary privileges given to tribal ethnics of Kurds. This megalomania has resulted in the destabilization of the local and regional balance, hindering the process of democratization and worst of all to finish the job of Assyrian extermination which began 2600 years ago. All this done under the banner of democracy. The megalomania extends with the the rumors that the Kurds, with the support of a very strong eastern alien intelligence establishment, will attempt to bring Kurds from the neighboring settlements and kick out present non-Kurdish occupants and establish the behemoth Kurdistan, comprising the parts of neighboring countries, as envisioned by some of their leaders. threatening the very existence of the Assyrians, destabilizing the democratization process, unbalancing the international relations, causing suspicion in the coalition objective among the academic brain of "the World Civilization Body"' which is responsible for the advancement and protection of civilization. Shiites feeling disappointed for being unable to cooperate with pragmatic Sunnis, Sunnis feeling over suppressed because of wrong doings of their individuals in the past and the other ethnic groups feeling ignored and the all these eradicating the momentum generated in the landmark parliamentary election and bringing the process almost to a halt. Megalomania has encouraged the traditional ways of harassment and extermination of the Assyrians to be speeded up shamelessly. The Assyrians have been horrendously barraged incessantly, intimidated to leave their homes to run away from their homeland, their leaders and elites shot and eliminated, their share from international funding ( oil-for-food and else) usurped, and obstructions made to prevent their representation in parliament and other authority levels. They have propped and puppeted fake groups, self-made representatives to deny Assyrian emancipation, a cheap gimmick tact not seen in political history , unless in the behavior of very nomadic tribes who haven't been able to develop beyond tribal hood. The making of puppet representatives for Assyrian has reflected that ridiculous sense that, when honorable British Parliament Members - the defenders of civilization and ethics- did pose the urgency of the establishment of the Assyrian Safe Haven, the honorable executive official of British government in response did make a joke and did imply that Assyrian representatives in Kurdistan feel more safe to be mastered by Kurdish warlords than to have the Safe Haven and prefer to be slaves rather than to be free. There are several factors that make the immediate establishment of the Assyrian Safe Haven far more urgent than the ones secured for Bosnians and Kosovar Albanians. Choosing the government members took three months- almost half the time designated for writing the permanent constitutional draft besides the routine tasks and other crucial issues to be done or settled. There are the issues of the fantasies of the megalomaniac Kurdish tribal warlords and the rest of occupants, secular and religious state, and Shiites and Sunnis to be settled. There is not a magic to solve all these overnight even with a shady democracy in a people with a diametrically opposite culture, evolved as a tool of survival in a period of millennia. Just in the early process of democratization, Assyrians have suffered proportionately far more than others in any aspect, especially in taking their lives, losing their properties and fleeing from their homeland. In contrast to others, there is not a place in the world for the Assyrians to flee and not to be considered second citizens and worst . Thus, the Assyrians who have been driven to the vulnerable status during the tragic persecutions in 2600 years and by the last blow in WWI and conversely, the others empowered and brought up to a highly privileged dangerous standards,are vulnerable to irrecoverable blows. That is, until the other prevalent issues are settled and a shady democracy is furnished, the finishing job of Assyrian extermination, started 2600 years ago, would be completed . Moreover, besides the tragic state of the Assyrians themselves, there are other urgencies requiring the immediate establishment of the Assyrian Safe Haven.That is the requirements for the balance of international relations, local instability as well the speeding up of democratization and the surety of its materialization and function. have been the most contributing nation for the world civilization. have been the most persecuted and tormented nation of the world. enriched Europe’s civilization when Alexander the Great made Babylon his capital and during the Crusaders War. sparked the European Renaissance through the Islamic ream of Spain in mid second millennium AD and later contributed to other intellectual and military matters. saved Europe from eradication from volcanic eruption of Turks and Mongols sweeping through China and Baghdad in early second millennium AD. were betrayed by the Allies' breaking their promise in WWI, resulting in a fatal blow. The pressure felt by academic core of World Civilization Body because of the above obligations and the ethical urges will make them to urge their politicians to participate in materializing the Assyrian safe haven. Thus, the participation of European countries by the pressure of the academic core will help to improve the imbalances erupted during the Iraq War . Assyrian throughout history have been givers and not takers, helpers not injurers, producers not parasites, and a source of revolutionary developments. In their BC Empire they had special institution for orientation and adaptation of the Arabs immigrating from the south. In their AD Empire, through their vast academic institutions of medicine, philosophy, literature and theology they did invent and initiate one of the basic and fundamental need of Arab culture - the Arabic alphabet. They developed the Arabic Language through their academic activity in various disciplines by their translation to and later in writing in Arabic. Later, despite being weakened by the World Civilization Body, they helped toward the Arab ideals. When important tasks have been at stake, Arabs referred to Assyrians, because of their reliability and highly constructive characteristics. And proportionately Assyrians have been holding more responsible positions even under suppression. The same as usual, their contributions for Turks also have been enormous. For the advanced tribes of Turks, they did invent and initiate the alphabet, notably for the Uigures. One of the Turkish ethnicity was elected in 1281 AD by the council of bishops to the highest spiritual position of the Assyrian Church of the East, the Patriarchate, as Mar Yaballaha III. The same constructive behavior has been in action for others when allowed. Thus, the Assyrians' transparency, responsibility and standards are respected by pragmatic leaders . Their pragmatic thinkers do believe that the Assyrians can play a fundamental role in stabilizing the present destabilization and in materialization of building a progressive democratic country and to renew the glory and the comfort of the past and to radiate as a beacon of the Middle East. Thus, besides the exceptional tragic case of the Assyrians themselves, the above facts makes the immediate establishment of the Assyrian indigenous Christian Safe Haven more urgent than the ones secured for the Bosnians, Kosovar Albanians and as well not less important than the no fly zones made for the Shiites and the Kurds. As promptly as the high urgency necessitates, the Assyrian Triangle should be cordoned by the military arm of the World Civilization Body. Garrisoned internationally and brought up from the tragedies of the WWI to where others have been brought up, assistance should to be continued until the Assyrians reach viability and are able to function and renew their role for building a democratic progressive Iraq. In the same way the Assyrian academic institutional complexes, indispensable for resuming their constructive role, should be secured in enclaves accommodated in their metropolises of their new political empire. 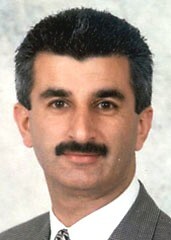 Zinda: Raabie (malfono) Alfred Dooman lives in Canada and Iran. In the last four decades his intellectual discourses sparked the formation of several intellectual and cultural groups in the Middle East and North America and his ideological disciples continue to revere him as a visionary. Raabie Dooman's previous essays in Zinda Magazine appeared in 18 August 2003 and 27 October 2003. (ZNDA: Arbil) The 111-member Kurdish parliament in north Iraq unanimously elected veteran guerrilla leader Massoud Barzani as president on Sunday, 11 June for a four-year presidential term. The Kurdish region comprises three northern provinces, Arbil, Dohuk and Sulaymaniya, and has enjoyed autonomy since the Persian Gulf War in 1991. The region is expected to retain a large degree of autonomy even after Iraq drafts its new constitution, which is scheduled to be put to a referendum this year. Barzani was virtually guaranteed the presidency of the Kurdish region as part of an arrangement that delivered the Iraqi presidency to his onetime Kurdish rival Jalal Talabani, leader of the Patriotic Union of Kurdistan. The Deputy Prime Minister of the Kurdish Regional Government is a Chaldean Assyrian, Mr. Sarkis Aghajan, who also hold the position of the Minister of Finance and Economics. Other Assyrians in the KRG are Mr. Yonan Marqus Hanna, Minister of Industry and Energy and Mr. Yousif Hanna Yousif, a Regional Minister. 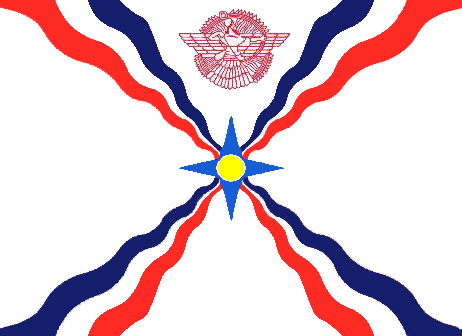 Assyrians hold five positions as representatives in the Kurdish parliament, two of which are held by members of the Assyrian Democratic Movement. (ZNDA: Chicago) Zinda Magazine has obtained an exclusive copy of a letter submitted to the two Chaldean and Assyrian Patriarchs, inviting His Beatitude Mar Emanuel III Delly and His Holiness Mar Dinkha IV to a joint meeting to review and discuss the crucial issues outlined in the letter. At press time the four undersigning organizations await a response from the two patriarchs of the Chaldean Catholic Church and the Assyrian Church of the East. With most reverence we offer our filial obedience to both of you, our beloved Fathers Patriarchs, who stand in the glorious succession of venerable Martyrs and Saints who served the Holy See of the Patriarchate of the Church of the East. On this exceptional occasion of your concurrent presence in the United States of America, we the heads and members of several Assyrian and Chaldean organizations and elements of our people’s intelligentsia take this opportunity to present Your Holinesses with some of our concerns and requests, which seem to crown the list of crucial issues, confronting worldwide communities from both Churches. 1) The historic and unprecedented chapter, which our beloved homeland Iraq is presently living through, demands from all our people to unite and make consensus among themselves and between our various Chaldean and Assyrian organizations and churches. If serious and sincere steps in this direction are not immediately taken, our people in Iraq will loose this historic opportunity to establish a unified category in the new Iraqi constitution and will have an increasingly weaker representation in future elections. Despite the attempts of those who are seeking to separate our people in Iraq today we must ourselves work to defuse them and instead unify our folds. Under Your Holinesses fatherly guidance, we urgently need an effective plan to advance this noble goal and bring about UNITY between all Assyrians and Chaldeans in Iraq. 2) We urgently ask you to continue dialogue between the Chaldean Catholic Church and the Assyrian Church of the East in all theological and non-theological levels. We can no longer afford to have the two most significant spiritual organizations cease collaboration that was started in 1997 in Chicago. Under Your Holinesses’ guidance, we urge you both to continue this important process on the path of unity and for the sake of our future. 3) This dialogue is so important for us we would like to humbly request that within the structure of its subcommittees Your Holinesses include members of the laity from both Churches. We feel we are not asking something that is extraordinary but that which falls within our obligation, as your sons and daughters, to sincerely serve our Lord Jesus Christ and faithfully assist our spiritual leaders achieve the best possible results for the benefit of our Churches and Nation. 4) Since there are among us other brothers and sisters who belong to the Ancient Church of the East, we therefore also urge you to consider inviting His Holiness Mar Addai II as a partner in this dialogue and pastoral collaboration. We feel we should not spare any effort for the sake of bringing our people into a coherent unity and a brotherly solidarity. The undersigned organizations, representing the voice of thousands of Chaldean and Assyrian Americans, humbly request and urge Your Holinesses to commit to a joint meeting during this concurrent period of time where the above crucial issues can be candidly discussed, with hopes that such a positive initiative will immediately pave the way for all future dialogue and the ultimate unification of our beloved people, so desperately needed today in Iraq. Eight years ago we could have afforded to waste ample time on reflection and debate of these issues. But today, squandering more time on meaningless discussions and empty agreements is against our interest as individuals, as Churches and more so as a Nation, in a world that is increasingly outsmarting and outgrowing us in so many paths. We urge you both to look upon these requests with the same spirit that our previous patriarchs and spiritual leaders have done while championing the cause of preserving their Christian faith, the unity of their one people and the survival of their common Mesopotamian culture and Aramaic language. With glory and respect, history shall remember those who sacrifice for the sake of Godly ideal and noble human principles. We respectfully and sincerely pray for your spiritual and physical welfare and for the prosperity of all of our people throughout the world. (ZNDA: Tehran) The southwestern Iranian city of Ahvaz witnessed multiple bomb attacks on the morning of 12 June, just two months after the Iranian government launched a crack-down on Ahvazi Arab protestors in Iran's Khuzestan province. "We are calling on Ahvazi Arabs to take up non-violent direct action against the regime and to boycott the forthcoming presidential elections" was the call for civil disobedience broadcasted by the Al-Ahvaz TV station on the Assyrian satellite channel, AssyriaSat. "We are also calling on Western governments, politicians and non-governmental organisations to highlight the plight of the Ahvazis and call for an end to their persecution and poverty," commented the weekly program spokesman. 8 were killed in a recent bombing in Khuzistan's provincial capitol, Ahvaz. At least eight people were killed and dozens injured after massive bombs exploded in carefully targetted areas of Ahvaz, Khuzestan's provincial capital: opposite the governor general's office, in front of the province's housing and urban development department and outside the house of the provincial chief of the Islamic Republic of Iran Broadcasting (IRIB). The attacks were co-ordinated to go off at around 6.00 am GMT. No group has claimed responsibility. Ali Aqamohammadi, the official spokesman for Iran's Spreme Council on National Security and Khuzestan's Governor, blamed the attacks on the separatist Ahvazi Arab Peoples Democratic Popular Front (ADPF). The ADPF, which claimed it was involved in the April demonstrations, denies any involvement. Its London-based spokesman Mahmoud Ahmad told Al-Jazeera TV: "We have no idea who has done this." The group is not known to be heavily armed and has not previously used explosives. The armed opposition group Mujahideen-e-Khalq (MEK), also known as the MKO and the People's Mujahideen of Iran (PMOI), has also denied responsibility for the attacks, which were followed by a bomb blast in Tehran. Most of the MEK's combatants are being held in US custody at Camp Ashraf, the group's former headquarters in Iraq. The government's Iranian Labour News Agency (ILNA) has put the blame on the Brigades of Revolutionary Martyrs of Al-Ahvaz, an unknown "terrorist" group. There are suspicions that the bombs were planted by hard-liners within the regime itself to stir up religious extremism within the population and influence the results of the election. The April riots were sparked by the publication of a letter written by the then Vice-President Ali Abtahi which outlined plans to reduce the number of Arabs in Khuzestan from three-quarters to around a third of the total population, while eliminating Arab cultural heritage and placenames in the province. Before the bomb attacks, local Ahvazi Arab leaders urged the government to give Khuzestan's largest ethnic group a fair share of the province's oil wealth and the right to political representation. In May, Jasem Shadidzadeh Al-Tamimi, a former member of parliament and the Secretary General of the Islamic Wefagh Party, a legal group representing Iranian Arabs, wrote an open letter to President Khatami. He asked to "do your utmost in lowering the 'wall of mistrust' between the proud Iranian ethnicities, so that the 'infected wounds' of the Arab people of Ahvaz may heal." He stated that the government was denying Ahvazi Arabs peaceful, democratic means for protest. In the 4th century AD Ahvaz was the seat of a principle Bishopric of the Church of the East and a large cathedral was built for the local bishop of the Church. A large Assyrian community existed until the beginning of the war between Iran and Iraq (1980-88) in the cities of Ahvaz and Abadan, enjoying a higher standards of living due to the thriving petroleum industry. Ashtar Analeed Marcus awarded first for regional and second place in national awards for journalism. (ZNDA: Chicago) On 7 June the Society of Professional Journalists announced the national winners of the 2004 Mark of Excellence awards. This year, collegiate journalists submitted more than 3,000 entries in 45 categories. The national winners were previously recognized by receiving first place in one of 12 of the Society’s regional competitions. Ms. Ashtar Analeed Marcus, an Assyrian from Chicago, who placed first in the Midwest section has received second place nationally in the General News Reporting category. “The winners of the SPJ Mark of Excellence awards represent the best in college journalism and certainly are the result of exceptional work on the part of those chosen for the awards,” said Jim Highland, SPJ vice president for campus chapter affairs. “These young people set the agenda of their college campuses, and they clearly demonstrate that college media are in excellent hands. National winners and finalists will be recognized during the Mark of Excellence Luncheon Monday, 17 October 2005, at the SPJ Convention and National Journalism Conference in Las Vegas. The Society of Professional Journalists works to improve and protect journalism. The organization is the nation’s most broad-based journalism organization, dedicated to encouraging the free practice of journalism and stimulating high standards of ethical behavior. Founded in 1909 as Sigma Delta Chi, SPJ promotes the free flow of information vital to a well-informed citizenry; works to inspire and educate the next generation of journalists; and protects First Amendment (USA) guarantees of freedom of speech and press. Ms. Marcus contributed to the better understanding of the issues surrounding the out-of-country voting (click here) during Iraq's first democratic election on January 30th. Her articles appeared in Zinda Magazine during the period leading to the Jan 30 election earlier this year. Ms. Marcus (center) and other credentialed reporters at the White House with CNN and Fox reporters waiting for President Bush's helicopter to land on the back lawn and address the press. Ms. Marcus earned a BA from University of Wisconsin, Madison in Journalism and Advertising and an MS from Northwestern University in Journalism. Her work experience includes employment at three large global agencies on multimillion-dollar national accounts including Kimberly-Clark and McDonald's Corporations. A member of the National Press Club, Ms. Marcus spends her days attending Senate briefings, hearings and votes, and interviewing Senators that may include Sen. Ted Kennedy and Sen. Russ Feingold, and attending private meetings with Congressmen and women like Rep. Tammy Baldwin and Rep. Mark Green. Ms. Marcus also has interviewed foreign diplomats and State Department officials like the Iraqi Ambassador to the U.N., Samir Sumaida'ie, and Bush's Communications Director, Nicole Devenish. She also attends President Bush's press briefings at the White House. (ZNDA: Detroit) “Rebuilding Iraq” is the subject of a conference to be hosted by the Chaldean American Chamber of Commerce on July 29 at Shenandoah Country Club in West Bloomfield Township. The conference is being presented with the U.S. Agency for International Development to give area businesses a chance to learn about contracting and subcontracting opportunities, said Martin Manna, the chamber’s executive director. USAID is the federal agency responsible for Iraq’s redevelopment and has awarded more than $4 billion in contracts and grants for reconstruction work. The Chaldean community also hopes to help create a liaison with USAID offices to give advice on best ways to help Iraq rebuild. USAID has launched reconstruction programs in conjunction with the United Nations, the World Bank, the International Monetary Fund, coalition country partners and private sector groups. They work with Iraq’s interim government on such areas as education, health care, food, security, transportation, economic growth and community development. Scheduled speakers at the conference include several USAID officials: Andrew Natsios, administrator; Joseph Fredericks, director of public information; Walid Maalouf, director of the office for public diplomacy; and Ross Wherry, director of its Iraq task force. Representatives from the U.S. Army Corps of Engineers also plan to speak. Attendees also will be able to meet USAID contractors. The Iraqi ambassador to the U.S. and various Iraqi ministers have been invited. Tickets are $50 for chamber members and $100 for nonmembers. For information or reservations, call the chamber at (248) 538-3700 or see www.rebuildingiraqconference.com. (ZNDA: Rostov-on-Don) A delegation from the Assyrian community in the Russian city of Rostov-on-Don participated at a roundtable meeting with 14 other nationalities, an event organized by the Jewish Community Center in Rostov-on-Don. Participants discussed numerous issues, including the upcoming conference on inter-ethnic relations, which is soon to be held in Rostov-on-Don. The delegations presented the interests of the Tatar, Greek, Ukrainian, Jewish, Belarus, Armenian, Assyrian, Ossetian and other ethnic communities involved in the Association of Ethnicities of the Don Region. Through constructive dialogue, the participants set out to formulate recommendations for the approaching regional conference. The conference-goers arrived at a joint position, reflecting the interests of the various Diasporas participating in this conference. In addition to this, the national leaders put forward a number of proposals regarding the advancement of cooperation between the national Diasporas and local government authorities. The upcoming regional conference on inter-ethnic relations is scheduled to take place at the end of June and is being organized under the auspices of the Governor of the Rostov-on-Don Region, Vladimir Chub. There are as many as 4000 Assyrians living in the historic city of Rostov-on-Don, many of whom trace their roots to the early settlers from Iran, Turkey, and Iraq from early to mid-1800's. The Assyrian football team of Rostov-on-Don placed third in the soccer tournaments held in between 7 and 8 May in Urmia, Russia. The teams from Urmia and Krasnodar placed first and second, respectively. Julia (Rowell) Yonan, 76, of Hartford, Connecticut, beloved wife of the late William Yonan, devoted wife, mother, daughter, and grandmother, died on Sunday (May 22, 2005) at her home with her family by her side. She was also predeceased by her brother, Albert Rowell Sr. of Nebraska and a sister, Delores Morrissey of Florida. She is survived by her twin daughters, Charlene Yonan and Darlene Yonan; and a grandson, David Yonan, all of Hartford; and many nieces, nephews, and cousins. Julia was born on March 19, 1929, in Chicago, Illinois, daughter of Assyrian immigrant parents, her father, Samuel Rowell of the village of Spurghan and her mother Shalem David Rowell of the village of Gulpashan. She was raised in Chicago, where she lived with her parents and grandparents, Yonan David of Taka Ardishay and Shushan Odisho David of Gulpashan. She graduated from Lakeview High School in Chicago in 1946. Julia (Rowell) Yonan was a former member of Carter Memorial Presbyterian Church in Chicago and also a former member of the Carter Memorial Presbyterian Choral Group. In June 1952, the church choral group came to Connecticut and at that time Julia was introduced to William Yonan. After a six month courtship, they were married on November 1, 1952 at St. Mark's Episcopal Church in New Britain. Julia was a member of St. Thomas Church of the East in New Britain; the Daughters of St. Thomas Church of the East; and was a former member of the Assyrian National Association of Connecticut; the Taka Ardishay Society; and the Assyrian American National Federation (AANF) by whom she was named Assyrian Woman of the year in 1970. Julia's family would like to thank the entire staff at the Helen and Harry Gray Cancer Center; the American Cancer Society; the Visiting Nurses Association; and all the nurses and caregivers in CB-5 Unit at Hartford Hospital. Private funeral services were held in New Britain. Burial was in the Elmwood Cemetery in River Grove, Illinois. Memorial donations may be made to St. Thomas Church of the East, 102 Cabot Street, New Britain, CT 06051. The Carlson Funeral Home, New Britain is in charge of arrangements. Please share a memory of Julia with her family on our online guestbook (click here). On june 1, I had the opportunity to hear Dr. Donny George's lecture, slide presentation and book signing event at the field museum in Chicago . The subject: the Looting of the Baghdad Museum. The event was well attended and as an American-born Assyrian, I felt a great deal of pride. The Assyrian nation at large has been debating the issue of one leadership for one nation for almost 50 years. Yet, we are still debating and postponing this inevitable issue as if we have the luxury of time to postpone this reality. revival of our cultural heritage. without legal status? Can this diverse nation and scattered people throughout the globe, be lead by a single and self-appointed political entity? Or can a nation, practicing practically every religious denomination, be only represented by only one branch of its Christian faith? Is there such a nation on earth? The answer to all of the above questions are left to the reader to ponder about. lead us, to further division and eventually the demise and assimilation of a people whom gave birth to the cradle of civilization. Are we prepared to undertake this task is the question before all. A great event in the life of the Assyrian community in Armenia was the publication of the school text titled “Write and Speak in the Assyrian language”, the presentation of which was held recently in Yerevan and in different villages inhabited by the Assyrian people. The authors of this textbook are Taysia Arsentyeva Muradova and Iveta Pavlovna Yakubova. The book is intended for people who know Assyrian language and for those whom with the help of the teacher or on their own can proceed to study the language of this ancient nation which gave the world its greatest discoveries in mathematics, astronomy, medicine and architecture. For a decade the Assyrian people living in Armenia were learning to read in their native language using books published in Iran, Iraq, and Sweden. These books were mainly written for children and teachers who already knew the Assyrian language. The teaching of the scripts, principles of joining letters and reading were left to the discretion of teachers, which couldn’t but affect on the knowledge of the native language. Much effort expended by the authors on the unexampled publication of the text book in Armenia, for the beginners to learn Assyrian language makes this book the phenomenon of the cultural life of the Republic. “Write and Speak in the Assyrian language” is assigned for the teaching of writing correctly both in word-for-word and literal translations, for the development of the habits in orthography, sequential joining of the studying letters, and norms of spelling and reading. The task to richly illustrate situational pictures is presented in three languages – Assyrian, Armenian and Russian and can be used for the development of the speech and habits of reading. Because of the interesting pictures, this new school-book gives an opportunity for the children to embody his or her ideas in different activities: figurative, playing, which as everybody knows are excellent stimulus for acquiring and learning knowledge, which with the help of games let the children be active during the lesson, alternate with the process of the difficult script of ancient letters. These include the composition of word-combinations, description of the situation in native language, dialogues and stories. And the uncommonly illustrated trilingual dictionary including 340 words with transcription in Armenian and Russian languages serves as first guidebook in the world of books and knowledge and enrichment of the children’s vocabulary. The difficult characters of the ancient letters are revived and make us hear the voice of ancient Assyria. The book assembled by these authors is thought over with such a love for children and objects that one may wish to throw up everything in order to join to the ancient literature and culture of the Assyrian people. The Assyrian Diaspora of Armenia, Assyrians’ Association in Armenia “Atour” and authors express their thanks to the Opened Society Fund for the assistance- Armenia and the Administrative Department on the questions of national minority and religion under the government of Republic of Armenia for the material and moral assistance for the publication of the first part of the training complex “FENIX”. Prayers and blessings receive. I greet you in the Name of our Lord and Savior Jesus Christ. May this letter find you in the best of health and happiness, rejoicing in the blessings bestowed upon us by our Holy and Merciful God. I bring to you the following news with great joy and excitement. St. Mary’s Assyrian Church of the East in Los Angeles is going forward with our plan to open the Assyrian American Christian School of Los Angeles, a place for our children where they can get a good education in addition to learning more about God and their rich Assyrian heritage. Our first day of school will be August 22, 2005. We undertake this diligent endeavor with the knowledge that it will not be easy. As we have in the past, we are depending on the support of our Assyrian brothers and sisters across the world in helping us help each other. With this in mind we have asked you to help us start, and the results so far have been heartwarming. We are still looking for people to join together with us in the common goal of securing our future, not only that of our children but of our Assyrian heritage as well. The fear of losing our culture and losing our language, particularly Aramaic, the language spoken by our Lord and Savior Jesus Christ, is growing more and more severe. It is upon us, and only us, to do something about it. The main obstacle we face in getting this school off the ground is in our initial funding. We have begun a membership program for those who wish to help this dream come true. Officially beginning in June, for just $10 a month, less than thirty-five cents a day, you can be an official member of our support club, and in doing so, you will help enrich the lives of our Assyrian youth and help preserve our beloved culture. I humbly ask that you find it in your hearts to help us achieve this very noble goal. For only ten dollars a month, you can be a part of something that will have an impact on Assyrians for generations to come. Please fill out the accompanying membership form (click here) and send it back to us (fax to 818-996-6467) . If you send in your first $10 today your commitment for June will have already been met. Our future is in our own hands, and our future begins today. We thank you for all that you do and we thank you in advance. May the Lord continue to bless us and may He continue to watch over us all. I am grateful to Zinda magazine for posting this list on pages of our great magazine. Important notice to our beloved Assyrian writers, novelists and poets around the world: Below is the list of my father’s publications in Assyrian language that I have gathered and carefully prepared. I would dearly appreciate if you provide me any knowledge of any publication that is not on this list. The following is an announcement regarding a meeting scheduled for 2 July 2005 in Augsburg, Germany for the Assyrian families interested to return to their towns and villages in Turkey and Syria. This year’s theme is “Today’s Graduates, Tomorrows Leaders”. Applications can be obtained at all Assyrian churches or you may click here for a pdf version. Graduates who are interested in being honored at this ceremony are required to complete and return the application on or before June 20, 2005. For More information, please call one of the persons mentioned below. 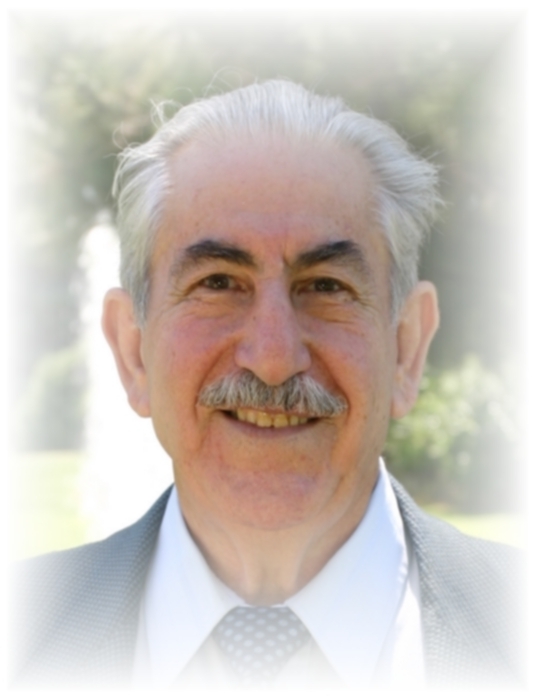 The current issue of the Journal of Assyrian Academic Studies (JAAS) is in honor of Professor Robert Biggs, the Associate Editor of Chicago Assyrian Dictionary and the Editor of Journal of Near Eastern Studiies. Professor Biggs' contributions to Assyriology and ancient Near Eastern Archeology have been invaluable. Please check the Table of Contents below. To order a copy of this issue, and for general subscription information, please contact www.jaas.org or call 847-803-6776 or Fax 847-803-6779. Iraq's newly elected National Assembly (NA) will soon take up its major task—although hardly its only one—of drafting a permanent constitution. The task is to be completed in time to submit the draft constitution to a national plebiscite by October 15, 2005. Constitutions are rarely written during calm times. Countries rarely feel any pressure to redesign their basic institutions unless they are confronting crisis. August 15: Draft of a permanent constitution written. The transitional assembly will draft a new, permanent constitution. If it cannot complete a draft by August 15, assembly members can petition-by August 1-for a six-month extension to complete their work. October 15, 2005: Public referendum on draft constitution. Once the constitution is written, the transitional assembly is required to present it to the people for a vote. If a majority approves it the draft, elections for a permanent government can go forward. If voters in three or more provinces reject the draft constitution by a two-thirds majority, the constitution fails and the transitional assembly is dissolved. December 15, 2005: Elections for a permanent government held. If the draft constitution is approved, the December 15 elections are for a permanent government. If the constitution is rejected, elections held December 15 would be for a new transitional assembly, which would write another constitution and submit it to the people again within one year. What is the process for drafting Iraq's constitution? Writing a permanent constitution is the main task facing Iraq's 275-member transitional National Assembly. A general outline and timeline for the drafting process is spelled out in the Transitional Administrative Law (TAL), Iraq's interim constitution enacted under U.S. occupation in March 2004. The TAL states that a draft should be ready by October 15, 2005, but legislators can ask for more time. Iraq's lawmakers also will have wide latitude in determining who will compose the document and how inclusive the process will be. Who will write the draft? On May 10, Iraqis formed a constitutional committee composed of 55 members of the National Assembly. The United Iraqi Alliance (UIA), the predominately Shiite coalition of Prime Minister Ibrahim al-Jaafari, has 28 spots on the committee, giving it a one-seat majority. The Kurdish alliance, composed of the Patriotic Union of Kurdistan (PUK) and Kurdistan Democratic Party (KDP), has 15 seats. Former Prime Minister Ayad Allawi's secular Sunni-Shiite parliamentary bloc has eight seats. The remaining four seats are held by a communist, a Turkmen, a Christian, and a Sunni Arab. What rules will govern the committee's functioning? They are still being decided. For example, it remains unclear whether the committee will conclude Issues according to a simple majority vote, as the Shiite coalition would prefer, or by a two-thirds majority, the preference of the Kurds and other minorities. If other Iraqis join the committee, it must be decided whether they will vote or only serve as advisers. What are the main issues facing the drafters? Federalism: While there is general agreement that Iraq should be divided into federal governorates, or regions, many details must be decided. A fundamental issue is how to allot power between the federal government and the regions. Another is agreeing on the number of regions and the territory each encompasses. The knottiest problem concerns Iraqi Kurdistan, the largely Kurdish region in the north of the country. This region has been virtually autonomous since 1991, when it came under the protection of a U.S. - and British-enforced no fly zone. Revenue-sharing: One of the main debates facing Iraqis is how to share billions of dollars in annual oil revenues among the country's many ethnic communities and geographic regions. The TAL recommends that oil revenues be distributed to regions based on population, with special consideration given to parts of Iraq--such as the Kurdish north and the Shiite-dominated south neglected by the former regime. Division of powers: There is broad consensus that Iraq's government will have three independent branches--a judiciary, a legislature, and a executive--with checks and balances among them. The details of this arrangement have yet to be worked out. Drafters will have to decide if the form of government should be a presidential or a parliamentary democracy and whether leaders should be directly elected or appointed by an elected assembly. The current transitional government is a parliamentary system with a weak presidency and an indirectly elected president and prime minister. Role of Islam: There is wide agreement among Iraqis that Islam should be considered the nation's official religion, as it is in most of the region's constitutions. But the role given to sharia, or Islamic law, in the constitution is expected to be a matter of considerable contention. Is sharia be acknowledged as the sole source of Iraq's law, and they may want the constitution to state that sharia will govern marriage, divorce, inheritance, and other so-called personal-status issues for the nation's Muslims, who make up more than 90 percent of the population. Some people want sharia to be acknowledged as one of a number of sources of Iraq's law. The TAL compromised between these two positions: it states Islam is the official religion and "a source of legislation," but also says the government may not enact a law "that contradicts those fixed principles of Islam that are the subject of consensus." Will the general Iraqi population be included in the drafting? According to Article 60 of the TAL, the drafting should be a widely consultative process, but whether Iraqi lawmakers fulfill this mandate remains to be seen. The TAL dictates that Iraqi lawmakers gather the opinions of a wide section of Iraq's population, "in part by encouraging debate on the constitution through regular, general public meetings in all parts of Iraq, through the media, and by receiving proposals from the citizens of Iraq." What is the deadline for the draft? According to Article 61 of the TAL, it should be completed by August 15 and presented to the Iraqi people for approval in a general referendum by October 15. But the TAL also allows the National Assembly to request a six-month extension by August 1 st.
What are the procedures for the referendum? After the constitution is drafted, the TAL states, it must be published and distributed widely to encourage public debate. The referendum will follow the period of public discussion. If a majority of voters nationwide approve it--and if two-thirds of the voters in three or more of Iraq's 18 current governorates do not reject it--the constitution will be ratified. How did this approval process come about? It is the result of a compromise in 2004 between Iraqi Kurds and the Iraqi Arab majority. Kurds make up more than a two-thirds majority in three Iraqi governorates of Iraqi Kurdistan--Dohuk, Erbil, and Sulaymaniya--and wanted to ensure that no constitution could be enacted without the approval of these areas. But the referendum formula can also be used by Sunni or Shiite geographic strongholds to veto the constitution. This explains why the demands of all three groups must be taken into account during the constitution-writing process. What will happen if the constitution is approved? After a successful referendum, elections for a permanent government will be held by December 15. The new government will assume office no later than December 31, the TAL states. What will happen if the constitution is rejected? The National Assembly will be dissolved, and elections for a second transitional National Assembly will be held by December 15. The new assembly will appoint a new transitional prime minister and government, and the drafting process will start again. A second constitutional draft must be completed by August 15, 2006, after which another referendum will be held. If the new draft is ratified, a permanent government will be seated by the end of 2006. The TAL is silent on what happens if the second draft fails. Has a constitutional committee been formed yet? Yes, the committee was chosen by consensus among the parties represented in the 275-member National Assembly and presented to the parliament speaker. Hummam Hammoudi a deputy with the United Iraqi Alliance he will chair the 55-member committee, while Sunni Arab legislator Adnan al-Janabi and Kurdish lawmaker Fouad Massoum will be his deputies. Recently and on various Internet forums, few numbered ultra liberal Assyrian voices have begun to propagate the thought that for the Assyrian national movement to blossom and succeed it needs to cross religious boundaries. They claim that Assyrian Christians must accept the presence of so-called Moslem Assyrian segment in the Assyrian society and that such segment does exist whether in the Middle East in general or in Iraq or Turkey in particular. People can claim anything they wish; however, the reality remains that there is no such thing as Moslem Assyrians. If, and this is a big if, any Moslem who professes publicly that they are Assyrian do exist, it is almost impossible for Christian Assyrians to co-exist with them peacefully. It would be much easier and less troublesome to marginalize and undermine the Christian Assyrians by their fellow so-claimed Moslem Assyrians, instead of having Arab or Kurd Moslems for example committing the oppression and persecution. This I say because the Middle East continues to a large degree to live in the mentality of the Middle Ages and it is very likely that the so-called Moslem Assyrian would be closer to an Arab or Kurdish Moslem than to an Assyrian Christian. Not every nationalistic thought or ideology could be applied in real life, no matter how perfect that thought or ideology is. Many good thoughts and ideologies remain ink on paper. I am not an expert on religions, therefore, I am not here to analyze what is Christianity and what is Islam, I am not here to make comparisons or explain what each religion stands for, or argue the rules and expectations they impose on people in general and on their believers in specific. However, I am going to list certain points and present couple of scenarios, and then I am going to ask a question or two and expect a precise and not a politician's answers. Many Assyrians adopted Christianity in the first century of the Christian era (some 2000 years ago) and it took another couple of centuries for the rest to convert. The Assyrians remained Christians for around six centuries when Islam entered and occupied Assyria (modern north of Iraq). Many Assyrians remained on their Christian faith and until this day. However, others converted to Islam in the beginning to escape death or heavy taxes levied on the Christians and later throughout the centuries Assyrians continued to convert due to attacks, abduction, forced conversion, protection, and other reasons. As Assyrians or Babylonians in Iraq became Moslem, they joined what is known as the Islamic Umma (nation). One cannot be part of two ummas, i.e. part of two nations: an Assyrian Christian nation and a Moslem umma. Moslem umma is based on fundamental factors prescribed by the Koran and Arabic heritage since the Koran (Islam's holy book), as it is stated, was handed to Mohammad in Arabic language. Being a Moslem is to have a culture that is based on teachings of early Arab Moslem figures that follow strict Arab and Moslem culture. This culture was alien to north of Iraq; it came from the Arabian Peninsula. If few Moslems, a small tribe, or a village of Moslems claims privately (and I stress here privately) today to be Assyrians, it should not mean that we could apply this exceptional belief as a rule. We must remember that there is always the exception to every rule. The fact on the ground in Iraq remains that Assyrians are all Christians, again, with the exception of atheists here and there. If there are so-called Moslem Assyrians, where are they and have they publicly (and I stress publicly) professed to their Assyrian belief and defend it? The answer is no. There are claims that are simply not possible to materialize in the Arab Moslem world. Fact is that Arab Moslems would not claim being Assyrians without facing a great uproar and perhaps persecution from fellow countrymen. It is one thing for a politician to say certain things sometimes; it is another how the common people feel about that same thing. Therefore, until that happens and a group of Moslems come out and publicly declared that they are Assyrians or Babylonians, such claims remain a fictional matter. Understanding the principles upon which the foundation of the Islamic Umma is based on, considering the Middle Eastern mentality, and realizing that the Middle Eastern is a religious person in nature, we can safely assume that we cannot have Christian Assyrians and so-called Moslem Assyrians in any healthy society at present or near future. This is because the Moslem world is complex, intolerance world, and accepts no other religion but Islam as superior to all. Until that whole picture changes, the argument of a so-called Moslem Assyrians is worthless and without any merit. Let us consider a hypothetical society in which Christian and so-called Moslem Assyrians co-existed side by side. It seems to me that there will be greater friction if not serious confrontation between the two Assyrian communities because there are fundamental differences between Christianity and Islam. This explains what happened in the Sub-Indian Peninsula and how the Sub-Indian Peninsula was divided and India and Pakistan were formed; the prior a Hindu while the latter a Moslem country. It explains why Hindu and Moslem Indians even today cannot live side by side, even when they are both Oriental Indians and it explains why they kill each others and attack each other's worshipping places. Shouldn't we learn from the Sudanese Moslem and Christian example, even when both are Sudanese citizens? Shouldn't we learn from the Egyptian experience as both Arab Moslems and Coptic Christians pride in their ancient Egyptian history, yet Moslem Egyptians continue to attack and persecute Christian Egyptians? Let us ignore these examples and assume hypothetically again, that tomorrow many Iraqi Sunni and Shi'aa Arabs suddenly decided to rediscover their true heritage and decided, hypothetically that is, to accept that they were in fact ethnically Assyrians and Babylonians, but wanted to remain on their religion (i.e. Islam). So far, this should not raise any issues according to the modern liberal nationalistic thoughts. Now, what we will have in front of us will be an Iraq with a minority Christian Assyrians and a majority Moslem Assyrians and Babylonians. What will happen in Iraq if the so-called Moslem Assyrians wanted to practice the true teachings of Islam in dealing with Christian Assyrians, just as some of today's Moslems do already? What kind of laws would be allowed to pass in order to protect the Christian Assyrians against the Moslem Assyrians? Where would this new society stand when Christian Assyrians are treated differently (i.e. second-class citizens) in that society? Would it become like the Christians and Moslems of Sudan! Where would this new society stand when a so-called Moslem Assyrian woman is killed for marrying a Christian Assyrian since Islam does not allow it? Where would this new society stand when the testimony of a Christian Assyrian in the court of law is not valued as equal to that of the so-called Moslem Assyrian? Where would this new society stand when a Christian Assyrian were not given the chance to rule over the country or hold a high post, since a Christian Assyrian cannot rule over a so-called Moslem Assyrian? Today, Assyrians accept it because it is Moslem Arabs and Kurds who are ruling and the Assyrian Christians are a lesser and weaker oppressed ethnic group. I understand that many of these issues exist already. However, today, Assyrian Christians accept the reality on the ground because they are different. However, it would be very hard to swallow when an Assyrian (Moslem in this case) treats a fellow Assyrian (Christian) non-equally. It just would not be the same. How could we envision that SPECIFIC new society (and I stress the above specific hypothetical scenario) from the point of view of these very few ultra liberal individuals, who believe that religion should not make a difference and who claim it so very casually and irresponsibly? Could we compare that to the situation in the Arabian Peninsula before Islam? A large number of the population in the Arabian Peninsula was Arab in their race; however, there were Jews, Christians, Saba'ean, and others. What happened after Islam? Why is it that the Arab Christians disappeared? What was wrong with having Christian Arabs and Moselm Arabs in the Peninsula? What happened to the Arab Christian tribes in the Arabian Peninsula and the Syrian Desert who spoke Syriac (Aramaic)? One might ask therefore: Could a community of Assyrian Christian minority survive among a so-called Moslem Assyrian majority in Iraq? In our discussions, we must take examples from history and learn from them in order to be fruitful. Allow me to direct this thought to these very few ultra liberal individuals: Today, a Moslem Arab woman could not marry a Christian Assyrian man; she will be killed by a relative and the killer will not be prosecuted because the Islamic Law looks at it as an honor killing. However, the marriage of Christian woman to Muslim man is blessed. Therefore, in this new society, we will continue to have a society that blesses, further and stronger, the latter situation; however, the prior situation will remain without a solution. What is more crucial is that in this new society intermarriage practices will continue stronger since Christians and Moslems in this situation are all the same since they are all Assyrian brothers and sisters (considering the scenario in question). Now, since Arabic is the ONLY officially permitted language for the Koran and the translation of it is officially prohibited, and since reading the Koran is a must for a Moslem, Assyrian women must read the Koran in Arabic and with time they will be Arabized (learn from the Arabian Peninsula experience). This is what happened earlier and this is what will happen in this new society. The difference between now and then will be that in that new society it will be "acceptable" and an internal matter while today it is, at least, "protested." We were not Arabized completely so far because Assyrians were different through basically being Christians and speaking Syriac (Assyrian). Islam and Arabism are synonym; few might not agree with this point for good reasons (since there are Moslem countries that have their own languages), but allow me to elaborate. It took only few hundred years for Arabic to rule over the Arabian Peninsula even when Syriac was a significant and important language. It took few hundred years more for Arabic to have great impact over the people of Indonesia, Pakistan, Afghanistan, and many African nations. Persians, even today, do not know how to deal with this problem; their language is dominated by Arabic language due to the influence of the Koran. One thing that saved these people from totally becoming Arabs was the lesser military power control of the Arabs in those countries, which were at a distance and the geographical nature of their regions. Could you imagine what will happen to the remaining Syriac speaking Assyrian Christians in Iraq few centuries down the road if Iraqi Arab Moslems admitted to their Assyrianism and Babylonianism but remained Moslems? If it took 1,300 years to put Assyrian Christians in the pathetic situation they are in, it would take only few generations to completely purge Iraq from its Assyrian Christian population. Many argue that Islam is not about race and ethnicity; it is about an ideology called Shari'aa (the Islamic Law). How is anybody going to safeguard the Christian Assyrians against the so-called Moslem Assyrians, when the latter have to follow the Koran and the Shari'aa? If we have survived as Assyrian Christians, it was only because we remained different; we were Christians and they were Moslems; we spoke Syriac and they spoke Arabic; we tried and tried very hard to be who we are, meanwhile those who were Islamized became Arabs. Islam created the Islamic Umma, which has its own rules and definition. We Assyrians are closest genetically, linguistically, and culturally to ancient Assyrians. Those Islamized Mesopotamians (Assyrians and Babylonians) mixed with other Arabs since they began to share a new religion (Islam) and with time any blood relation between the Islamized population and the remaining Assyrians disappeared (with continuous mixing with other Moslems). Meaning, our differences isolated us and saved us (Assyrian Christians remained to marry within themselves, with a very small and negligible exception of course.) Does anybody know what happened to the Syriac-speaking Christians who created Arab nationalism? Today, the Islamized Mesopotamians are completely different people; they, in general, reject everything that relates them to their pagan ancestors. Assyrian Christians, and again generally speaking, are still proud of their ancient fathers. There is nothing in common between an Arab from the Arabian Peninsula and Assyrians of Assyria, and yes I do understand that they are both humans. Those Assyrians who were Islamized and became Arabs with time for speaking Arabic and practicing Arab and Islamic culture, lost all their link to the Christian Assyrians and thus to earlier Assyrian ancestors. Today, an Arab is a Moslem and he/she speaks Arabic, which has no connection to the heritage of Assyria. Those Assyrians who were Islamized since A.D. 640 and the following centuries have mixed and married from within this new Arab Moslem culture and with the original Arab people that invaded the region of Assyria. Generation after generation, the genetic of the Assyrians who were Islamized has become almost purely of Arab blood (after 70 generations). We have lost forever most of the Christian Assyrians some 70, 60, 50, or 20 generations earlier. The remaining Assyrians, meanwhile, have continued to marry from within the Assyrian community until the mid twentieth century exodus of Assyrians to the West. It is well established fact in Iraq that when an Assyrian Christians marry Moslems, they are considered castaways. These Assyrians are not allowed back into the community; they are portrayed as having brought shame to the family and the community. Therefore, we can say easily that at least for 2000 years, the Assyrians maintained a strong bond among themselves through three strong points: Christianity, Syriac language, and marriage. We know too that the Syriac language was basically inherited from Assyrian Akkadian and Aramaic and I will spare the talk about the close relationship between the religion of Ashur and Christianity. May be 10 generations down the road the discussion of intermarriage of Assyrians in the West would have greater impacts, for now it remains relatively less damaging than that of the conversions to Islam. The only reason why Assyrians have assimilated faster and easier in the West is because Assyrians lost that guard that protected them for 2000 years. In the West, the vast majority is Christian so we feel "safe" in a sense and we have let our guards down. Yes, the West could prove to be devastating for Assyrians and that is another topic for discussion. Therefore, before anybody continues in this crusade of so-called presence of the so-called Moslem Assyrians, he/she should make sure that the Iraqi Moslems are accepting this "illusive and hallucinating new and improved national thought." This is not like bringing Catholic and Orthodox Assyrians together; a people that have so much in common. If a small group in one or two Turkish and Iraqi villages still remember their roots because their parents and grandparents still talk about their "fresh" conversion that happened some two centuries ago, the overwhelming majority of the Iraqis (Arabs, Kurds, and Turkomen) are ardent and devout Moslems when put to the test. We must not take the expression of the very few and try to impose that on the completely different 20 million Moslem Arabs, Kurds, and Turkomans of Iraq. Additionally, we must not mix between the new phenomenon of nationalism that is defined by new internationally recognized borders and ethnic group. An American is that who lives in the United States; however, he/she is not an American ethnically. Yes, he can be an Assyrian, Arab, Mexican, or a German. An Arab who lives in Iraq today is not an Assyrian or Babylonian but an Iraqi (living within the new borders of Iraq). This is from the national point of view. Ethnically, however, he/she is an Arab because he/she has been living in his/her Arab culture and for generations his ancestors have been marrying within this Arab community. Consider for example Mussa, a young Moslem Arab from Egypt, who migrated to the United States in 1800. In 1810, he married Mary, a Christian Mexican American. In 1830, Mussa and Mary's son, Abraham, is married to Josephine, another Christian Mexican American. Abraham and Josephine had a daughter, Anna, who in 1850 married Jose, a Christian from Argentina. The trend continued where Mussa's great grandchildren and great great grandchildren continued to marry non-Arab and non-Moslems. In 2000, i.e. 10 generation later, it is safe to state that Joseph, a descendent of Mussa, is no longer an Arab but a Hispanic. Joseph does not speak Arabic, his ancestors have been Christians, and their culture is non-Arab. Therefore, Joseph has, for all practical purposes, nothing to do with Arabs. It is that simple. Now, unless Joseph stands in public and declares that he is an Arab, no one should even contemplate claiming that Joseph is an Arab, period. Assyrian nationalists are struggling to convince certain Christian population of northern Iraq to profess to their Assyrianism. These people insist that they are Chaldeans despite the fact that they lived, and continue to live, in the heartland of Assyria for millenniums, speak a mixture of Assyrian Akkadian and Aramaic language, use the Aramaic script, and share family ties, culture, custom, and religion with their Nestorian Assyrian brethrens. As if that is not enough, these few ultra liberal Assyrian voices wish and dream to bring completely different people into the Assyrian fold to create complications to the Assyrian national question that Assyrians are for sure better off without. That in itself puzzles me the most because we all know that it is simply impossible and incomprehensible any way we look at it unless Assyria as a country was born and its structure for a civil, democratic, modern, and advanced society established. Until then, this issue must be folded and tucked away because only those naïve and struck by lighting could envision Arabs and Kurds professing Assyrianism under today's circumstances. It was days after the Liberation of Baghdad! Hope was in the air! Everybody that could manage it were holding demonstrations in front of the then headquarters of the US in Iraq - the Palestine Hotel. Having been in Iraq during the time of Saddam and seeing how desperate the people were to have him gone and then how happy they were when it happened it made me angry to see a group of what disheveled Iraqis demonstrating against the US. As always it was made up of the people Iraqis always refer to a the "crazies from the south" and as always on the payroll of next door Iran. What made me particularly angry was the fact that their demonstrations were being broadcast around the world as the "will of the people"! Nothing could have been farther from the truth! I knew from talking to so many how different the average people thought. They were delighted to be liberated - desperate that the Americans stay, and yet the only ones demonstrating were the "weird" ones. I returned home and asked a group of our people - we are Assyrian Christians, the original people of Iraq - "lets do our own demonstration! The "bad guys" are all doing demonstrations and the world think they speak for all Iraqis." Isn't everybody delighted to have Saddam gone and to be liberated? "Of course" everybody responded. Aren’t all Iraqis desperately thankful to the Americans for coming? That was when thing got strange. "Its too dangerous!" was the reaction of the older people. "Of course all Iraqis are delighted at the liberation. Of course, those demonstrating are the "weird" ones from the south influenced by Iran,. If we demonstrate now, though they will remember who we are. We love the Americans, but the Americans are impatient. They will be in Iraq for a year, maybe two but then they will begin to leave and we will be left to deal with the "weird" ones." Suddenly I got the picture! The "silent majority" of Iraqis are all the same. Talk to them as I have all over Iraq. "We are not religious - we do not want to become like Iran! We just want to be normal, to live regular lives. To be rid of all the ideology and religious people! Just everybody leave us alone!" Testimony to the "silent majority" is the explosion in Baghdad of all that is "normal"! internet Cafes, every sort of electronic equipment, cars, massive traffic jams. Every day our first order of business is discussing the traffic. This is how it goes. "Things are terrible these days - it takes an hour to go what it used to take five minutes" they all complain. "Traffic is good" I try to explain. "It is a sign of progress - go to London, New York, Tokyo - any major city - they all have the same kind of traffic. It is good!" They look at me as always with a strange look. "How can it be good if it takes us an hour to go what used to take ten minutes." Then I resort to my last line of defense - how can I try and persuade them that traffic is good if they have never been out of the country." "OK," I concede. "Lets put it another way - a couple months ago at this time did you have a car?" . .
"oops" they respond . . "I guess not"
Imagine for the first time in your life being able to use a cell phone, surf the internet, watch non-Saddam TV, talk on the telephone without fear. - why would one not be delighted! We were in the middle of a meeting with the Coalition Provisional Authority when a British former anti-war activist turned NGO worker began a long diatribe against the liberation. "The electricity doesn't work, the water doesn't work, the telephone don't work . . . " on and on she want blaming the American for all that was wrong with Iraq even though they had only been in the country for weeks. After she finished there was a long silence. Suddenly one of the Iraqis stood up and said "Maam, with all due respect, all the thing you just said . . . none of them worked under Saddam either . .
As I looked over the crowd of wild eyed "Iraqis" many of them from Iran out in the same square in central Baghdad it in front of the same Palestine Hotel, it was "deja vu" - one again the "loud minority" on the payroll of nearby Iran as the Iraqis all feel were speaking for the Iraqi people. That day, days after the liberation of Baghdad I went around and asked those demonstrating what they were demonstrating against. "Against the Americans!" they said. I asked, "Could you do a demonstration like this a month ago?" They became silent and looked down. The point had been made! No, they do not want the Americans to leave! No they are not religious! They are just regular, normal people like anyone else in the world. They were delighted two years ago to be liberated by the Americans and are desperate to not become like neighboring Iran. After 35 years of the nightmare of Saddam Hussein they deserve not have their views and feelings characterized by the "loud minority" who even today intimidate the vast majority of Iraqis who if they had a choice would be demonstrating in front of the Palestine Hotel thanking the Americans for liberating them from 35 years of hell. I will never forget a brief conversation on the way back from the handover of power in Iraq last year. An exhausted American soldier sat with his head down. I asked him quietly "Why are you here". He suddenly sat up and said as I have heard dozens and dozens of times all over Iraq. "I just want to see the Iraqis get a chance at freedom like we have." and then the one statement that always follows it "just doing my job - just doing my job." Does that sound like someone trying to "occupy" a country? In spite of all the rhetoric funded by neighboring radical Islamic states desperate to have Iraq fail so they can continue to intimidate their own people the average Iraqi has seen in action what the Americans have done. Americans in particular can rest assured. The demonstrations they see on their TV Screens do not reflect the feeling of the vast majority of Iraqis who if they had the chance would fill the same square with American and Iraqi flags and banner after banner saying "Thank You America For Liberating Iraq - We Will Never Forget" and PS: Please stay around! Zinda Magazine proudly presents a few of this year's Assyrian graduating students. Congratulations to our Assyrian graduating students of Class of 2005 and their proud parents and families. Did you miss our deadline this year? Send us your information as we will continue to update this list in the next few weeks. David completed his MBA degree in March 2005 with a GPA of 3.8. He has a BS from California State University Northridge in Industrial Engineering. David is the CEO of iQwest Technologies, Inc. Daughter of Rouben and Nanette Ghorbanian, Sarah received a BS from U. of Illinois, Chicago. She plans to practice in the Chicago area.
" I was at Nottingham Trent for three years and have enjoyed every second of it, and I just can't believe that the past three years have flown by!" "I am delighted with this result as I had to work hard to complete the given projects as well as planning my wedding and was busy with the family moving houses. My final project was very popular with the public that attended the university's degree show and was encouraged by my lecturers to sell the idea to companies that might be interested." received several community and university scholarships. Larsa will be majoring in Mathematics and minoring in French at Otterbein College. Miriam lives in London and will be attending the College of Law at London to complete the Legal Practice Course (LPC). "My aspiration is to become a lawyer, and hope to God one day I will!. I would like to dedicate my degree achievements to my Dad who passed away at the beginning of my final year in my degree, may his soul rest in peace. All my strong ambitions are down to him, it is he who guided me through it all, and it is he who will steer me to achieve the best I could possibly attain." Thank you Zinda Magazine for giving Assyrians around the world the opportunity to share their achievements. Nahrain completed her photography curriculum studying abroad in Florence, Italy; and recently was hired as a staff accountant with American Red Cross of Greater Chicago. Nahrain has one more reason to be excited about her accomplishments this year; she's the first generation to be graduating from college on either side of her family. "It is incumbent on every Assyrian to use his/her knowledge, wisdom and expertise for the benefit of our great Assyrian nation." " I love your mazagine; I'm a frequent reader." Peter is currently working as an Equities Analyst with the Australian Stock Exchange, undertaking a CFA (Chartered Financial Analyst) program. He hope to move into the investment markets within 2-5 years. Peter extends his special thanks to Rabi Nimrod Simon scholarship (recipient) and his friends and family. "Keep up the great work. Your publication rocks!" William is an aspiring lawyer studying at the College of Law in London and hopes to become qualified in 2007. "Well done to all the Assyrians in further education; keep it up and good luck with the courses that you are doing!" Shimon is better known to most Zinda readers as the head of the Bet-Nahrain National Alliance, a political party active in the U.S. and Iraq. Nella will be attending dental school in Arizona starting July 2005. Most of the students shown above have completed several years of trilingual curriculum in Arabic, Assyrian and English. 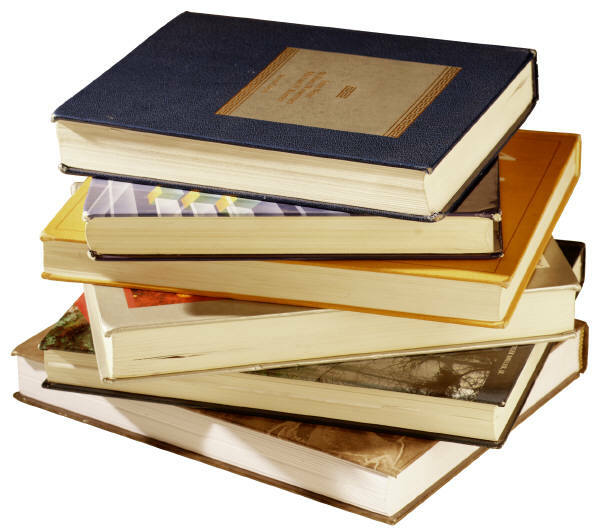 Many have studied mathematics and sciences, among other subjects, using books fully written in the Assyrian language.